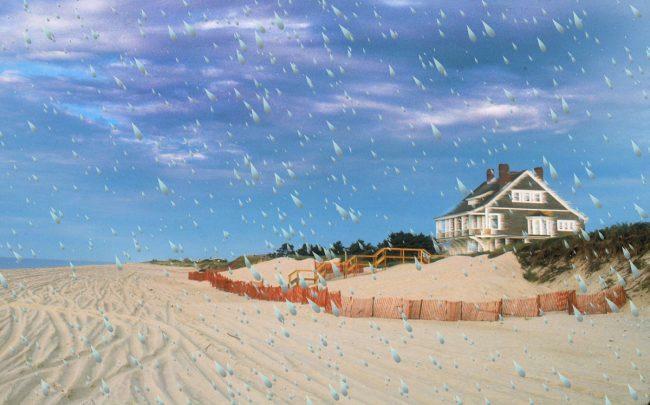 Taxpayers in the Hamptons are among the most vulnerable to losing money to climate change. Among municipalities with a high likelihood of chronic flooding in the next 12 years, Southampton has the second highest level of its property-tax revenue at risk, Bloomberg reported. Data gathered by the Union of Concerned Scientists, rising sea levels puts hundreds of thousands of homes and commercial properties at risk of being flooded at least 26 times a year by 2030. At a state level, New Jersey and Florida — where development has crowded beach towns — are the most exposed. The problem would depreciate property values and eventually shrink tax revenue, the report said. As a result, lower local credit ratings would also make it more more difficult to finance projects to grapple with rising sea levels. “We think that the risks to the local tax base means a vicious cycle can kick in,” Erika Spanger-Siegfried, one of the report’s authors, told Bloomberg. Broadly, climate change is already affecting home values. Average home prices in areas at high risk were worth less last year than they were a decade earlier, according to a previous report.